LoveVampires is a website dedicated to vampire genre and urban fantasy fiction. Our primary function is to provide informative books reviews about not just the latest book releases but old vampire fiction favourites too. We have an ever growing selection of book reviews which you can browse by author, title or genre. You can also read exclusive interviews with authors, enter giveaways and win free stuff or watch a selection of videos. Make yourself at home, browse through the site and click about a bit - there’s no telling what you might find! Your thoughts and feedback much appreciated so please contact us with your comments. New Year’s Day seems the perfect time to stop and reflect upon the books that were read and reviewed in 2011 and pick out some of my top favourites. 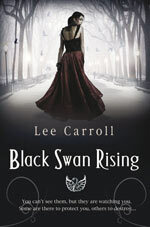 2011 proved to be a great year for urban fantasy (UF) with the launch of some notable new series. Kevin Hearne’s Iron Druid Chronicles benefited from a swift release schedule for the first 3 books and is probably this year’s strongest UF debut. The UK urban fantasy scene was well represented with Ben Aaronovitch’s stellar Peter Grant books, featuring a young police constable, magic and murder on the streets of London. Established fantasy author Cherie Priest (perhaps best known for her Steampunk novels) turned her hand to UF and gave the world “Cheshire Red” an OCD vampire who is also a skilled thief and investigator. And readers looking for main stream vampire action need look no further than Christopher Farnsworth’s thrilling novel “The President’s Vampire” – this one is a keeper! New to me in 2011, but technically not new in 2011 is the reprint of Anno Dracula by Kim Newman. This literary monster mash-up is required reading for vampire fans. Twilight Forever Rising by Lena Meydan was technically published in English in 2010 (it’s been a Russian bestseller since 2005) although I didn’t catch up with it until early 2011 but I’m not excluding this book on a mere technicality! It is an undiscovered UF gem that deserves much wider recognition that it has received – I can’t recommend it highly enough.